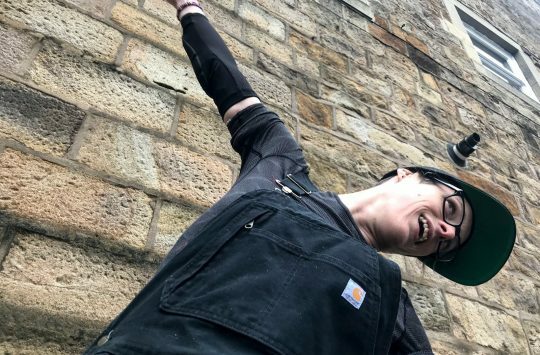 With the summer holidays now in full swing we’re down to a skeleton crew here at Singletrack Towers, but that’s good news for Andi and Chipps who get to go through all these cool new arrivals and choose who get’s what and which they’re keeping for themselves. 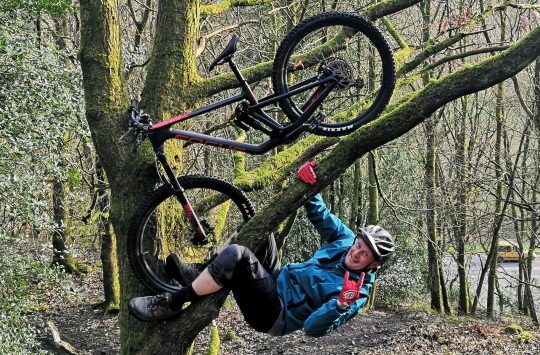 But first we have a bunch of our lifetime subscribers here in the office with us today, so the priority, once breakfast is finished and the office tour has been done, is to get out and take them for a ride on our favourite trails. This is a brand new fork from DT Swiss, and it’s called the F 535 One. 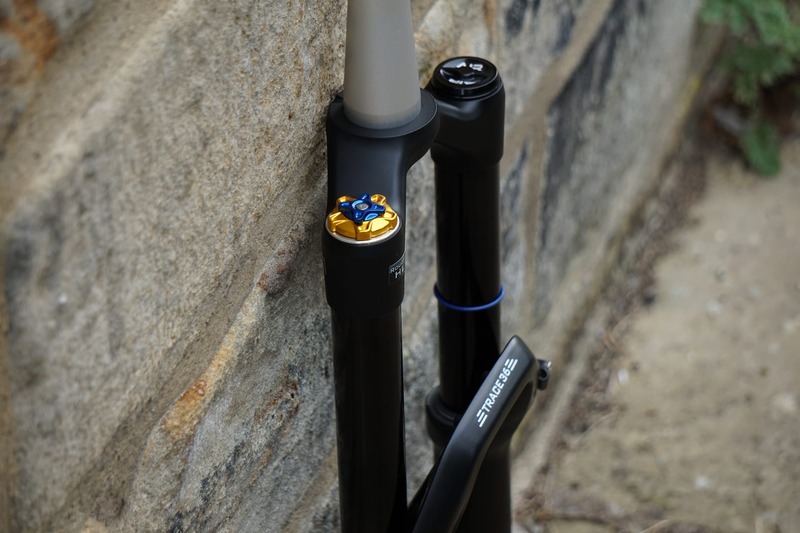 Available with 130-160mm of travel and featuring a burly 35mm chassis, this new slider is designed to take on the likes of the RockShox Pike. Our test fork is the 29er version with 150mm of travel, and it features a crown-mounted lockout lever, along with adjustable air pressure, air volume, rebound damping and compression damping. We have a tonne of info about this new fork that you can read here, and stay tuned for the incoming review! 170mm travel forks designed for 29ers. 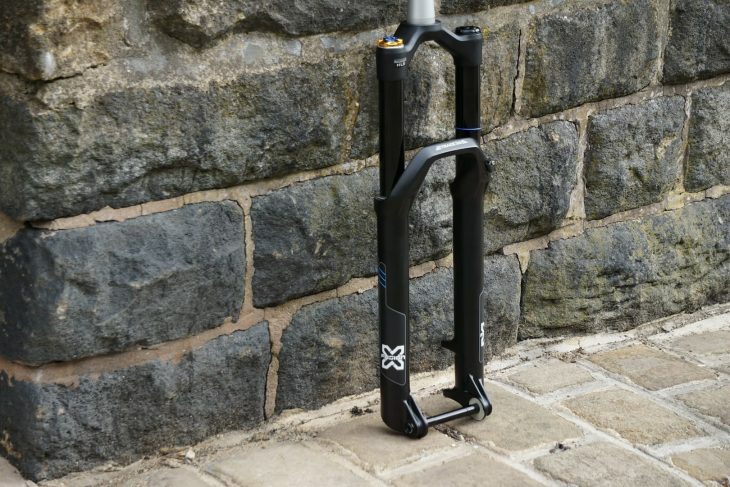 Weighing in at a claimed 4.4lbs with up to 170mm of travel on tap, the X-Fusion TRACE 36 HLR is an all-new fork for X-Fusion that has been designed specifically for big travel 29ers. High and low-speed compression, rebound and air are all of the adjustments on the TRACE. 36mm stanchions should keep the fork tracking in a straight-line while a Roughcut Damper circuit handles the bumps and ruts. 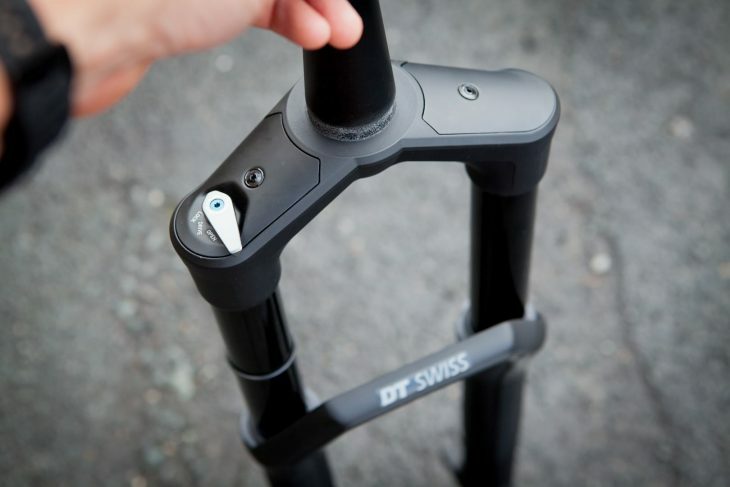 The TRACE can be internally adjusted to 140mm or 160mm if wanted and the fork features high-speed and low-speed compression, rebound adjustment and uses an air spring. Ross will be strapping these to the front of his Transition soon for a full test. 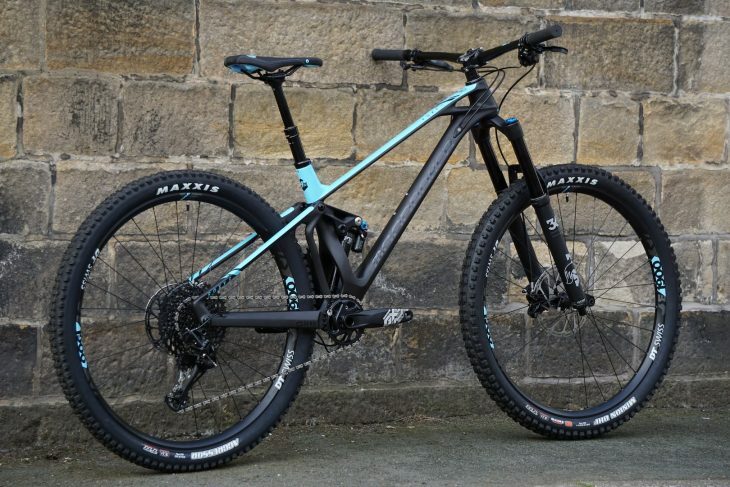 We’ve already posted a first look at the stunning Mondraker Foxy R 29 here, but we couldn’t help but post the stunning Spaniard one more time. 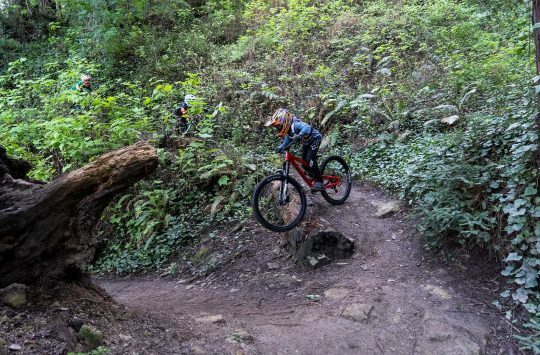 The 29er version of the Foxy is new for 2019, boasts 10mm more travel front and rear and gets a shorter offset fork. Andi has already called dibs. Keep the top caps of your Fox shocks in tip-top shape while serving your forks with these bright orange Fox Sockets. They’re available in 26mm, 28mm and 32mm options and, although we haven’t tried them, we assume they’re compatible with other brands of fork too. The Gerber Center drive is a handy tool for on the trail repairs. 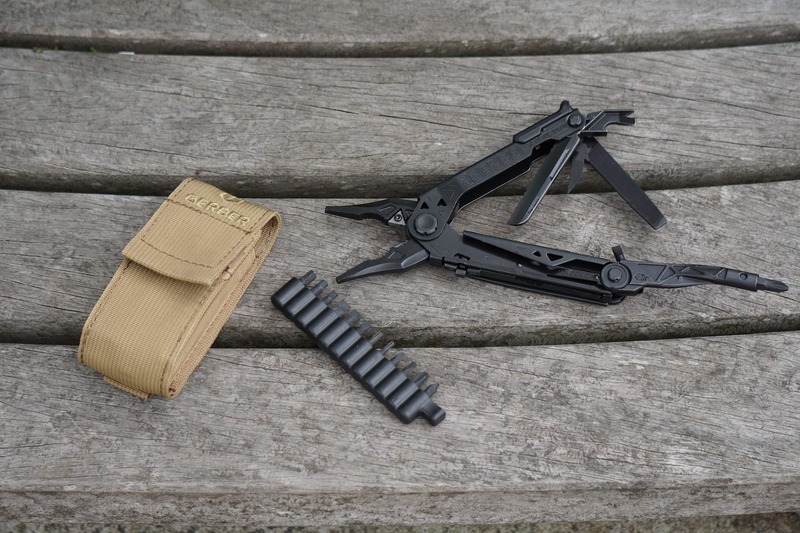 The Gerber Centre-Drive is a folding tool with safety locking mechanism so that your fingers aren’t chopped off by mistake. It features 16 tools including a set of built-in pliers, carbide wire cutters, a knife, file, bottle opener, and a driver which can be used with the included 12 bits to keep your bike rolling. Spelt with an “X” for “EXTREME”. 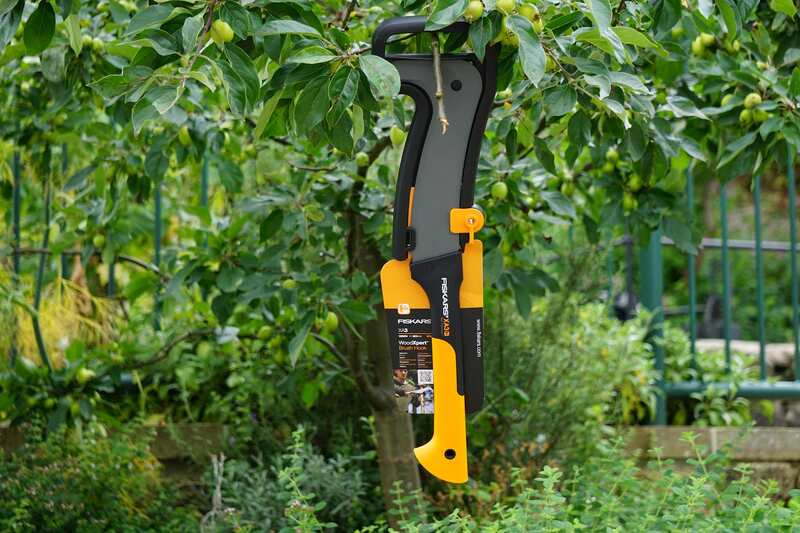 This ain’t no ordinary brush hook, no, this is the Fiskars WoodXpert Brush Hook XA3. Fiskars says that the XA3 is ideal for cutting smaller branches from trees, makes shaving bark simple and clears weeds and brush, but we think Fiskars sum the XA3 up perfectly with their tagline “Swing less, Cut more.” The Fiskars XA3 will be included in an upcoming trail tool group test. Snapping the flow or flowing the snap? We’re going to find out. VeeTire Co. says that the Flow Snap is designed for hitting loose, dry trails, well that’s exactly the type of trail we have this summer so we’ve got a pair to give a go. 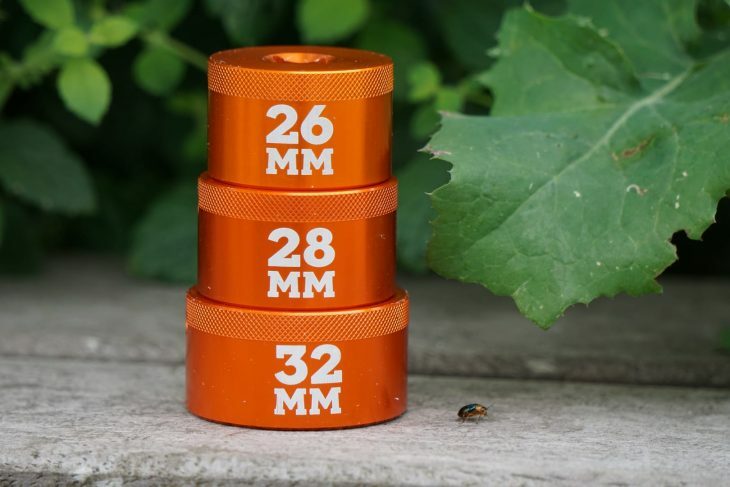 We’ve chosen a set of 29 x 2.6in variants to test during the summer, so keep your eyes peeled for a full review coming soon. A new take on dirty comics. 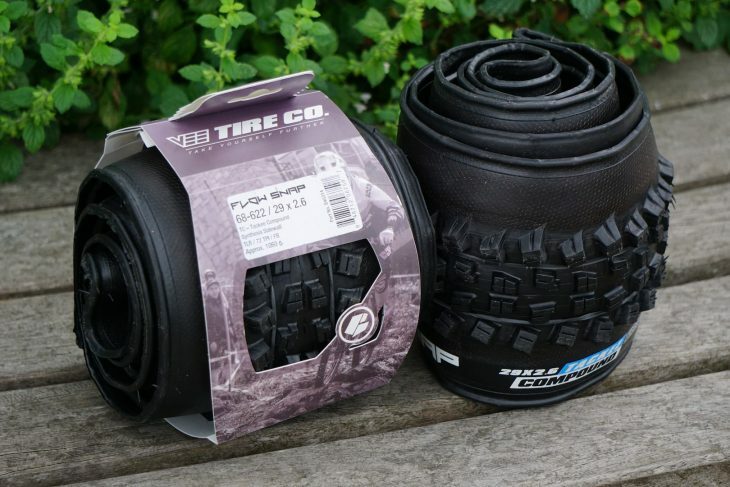 There are plenty of easy to install, flexible and relatively cheap front fenders on sale these days (mudguards to you and I), but most are usually plain black affairs, which steal our ability to be individual! A bug bearer of ours! 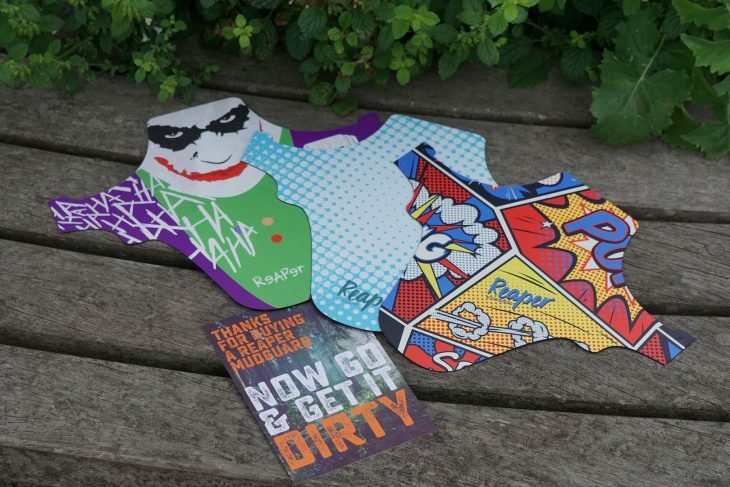 Fortunately, Reaper makes a host of colourful mudguards and has just released a range of comic inspired designs. 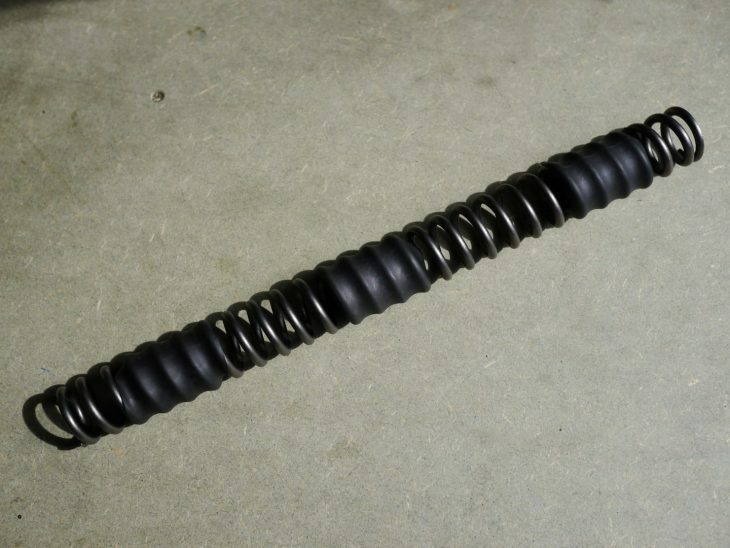 1″ rise carbon bars with a lifetime crash replacement warranty. ProTaper, once part of the Answer range of parts, is now it’s own sub-brand within the Hayes family. 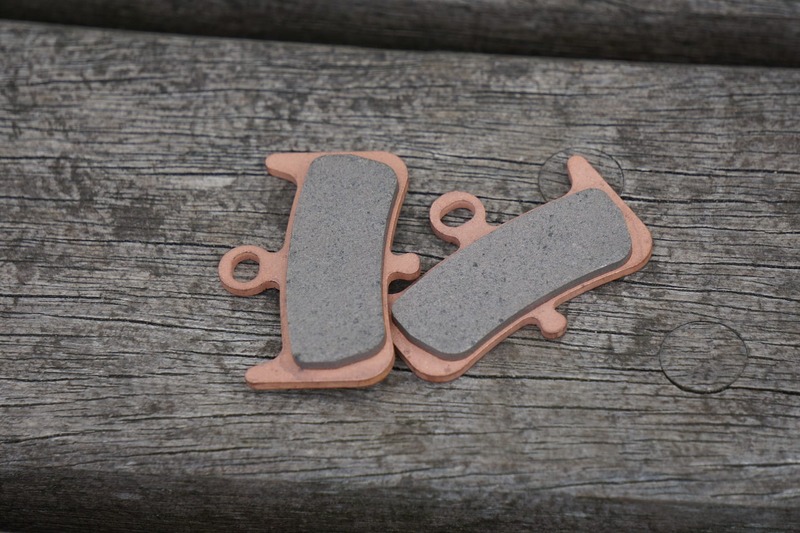 Textured “Grit Grip” finish in clamp areas. 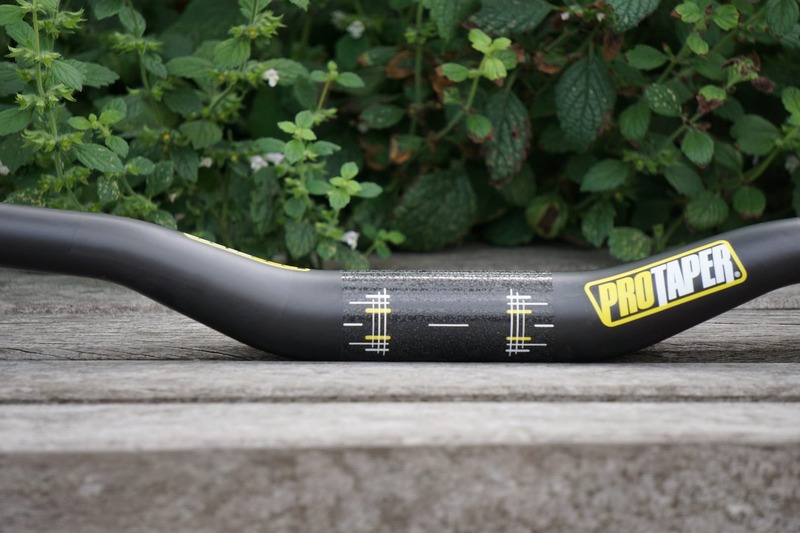 The ProTaper Carbon bars come in at a whopping 810mm wide and have measurements printed on for easy hacksaw adjustment. 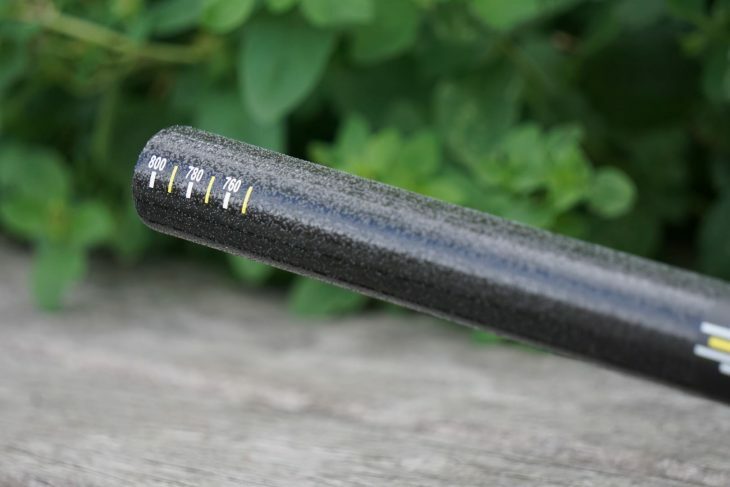 Our test sample of the carbon bar has a 1” rise, 4º upsweep and 8º back sweep and weigh in at just 190g. We especially like the “Grit Grip” textured areas where the stem and grips mount for added traction. A perfect fit for the ProTaper Carbon Bars we have on test. 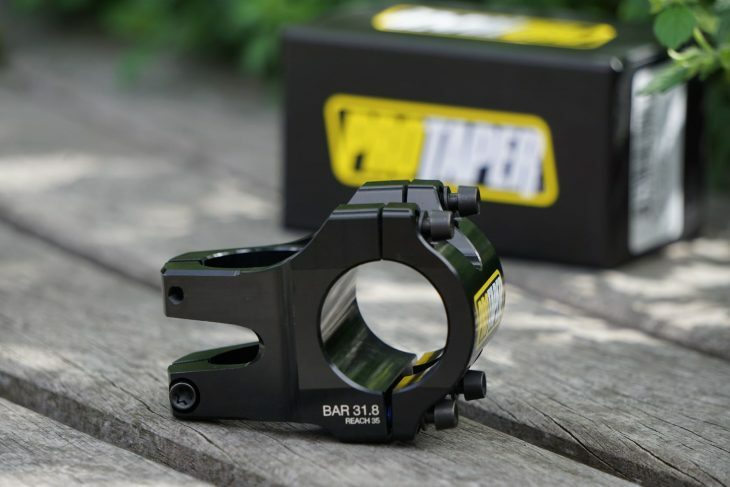 The ProTaper Stem comes in a wide variety of options for those of you who run either 35mm or 31.8mm handlebars. We’ve opted for the latter in a 35mm length and will be using it to hold the above carbon bars in position. It’s a simple design with 4 bolt face plate but uses stainless Torq fasteners rather than regular Allen bolts. 4 Pot callipers with a clever bleed solution. We first got to see the new Hayes Dominion disc brakes at Eurobike last month, but now we actually have a set of our very own to test and get mucky. Hayes has designed the Dominion A4 as a powerful 4 pot brake that is suitable for all types of mountain bike riders from downhill and enduro riders to eMTB and trail bike riders, it’s a one brake to do it all system. All-new lever with large lever adjustment dial. 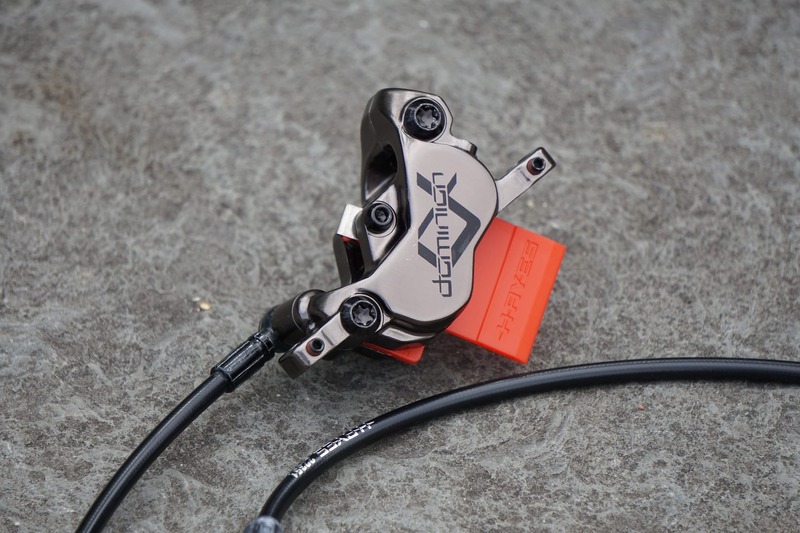 The callipers use four 17mm pistons and have the same Two-Stroke bleeding system that Hayes motorsport products use, meaning that each side of the calliper is bled individually to ensure complete bubble removal. 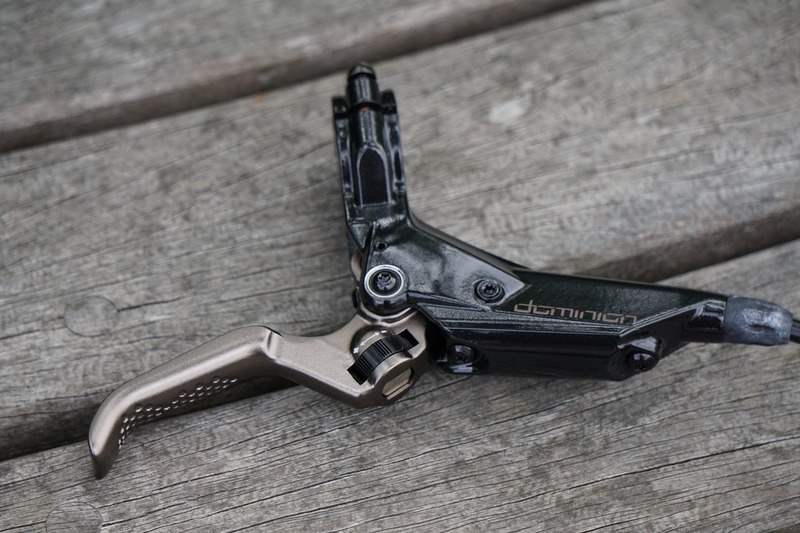 Hayes has also created an all new lever for the Dominion A4 with a large tool-free reach adjustment dial. They’ve also sent over the accompanying Dominion pads with 1.95mm of material and the new Dominion Rotor too. Full review coming soon. So with Fresh Goods wrapped up, what musical delights shall we have to usher in the weekend? Well, first off we’re going to have a classic from Duran Duran which should have been chosen as the Earworm on BBC Radio 6 Music this morning…. And we’ll also have one. Enjoy! I’m sorry, but those sockets appear to be £30. Each. WAT. An alternative would be a normal, 6-point socket from any hardware store for less than a fiver and about 5 minutes on the grindstone to remove the chamfer. Job done. Looking forward to the upcoming Zombie Knife review…. “Weighing in at a claimed 4.4lbs” 2 Kg then yeah? 130 quid is a bit steep for a Gerber!